Curious what the kids from 1980's hit "The Wonder Years" look like today? Well, see for yourself. 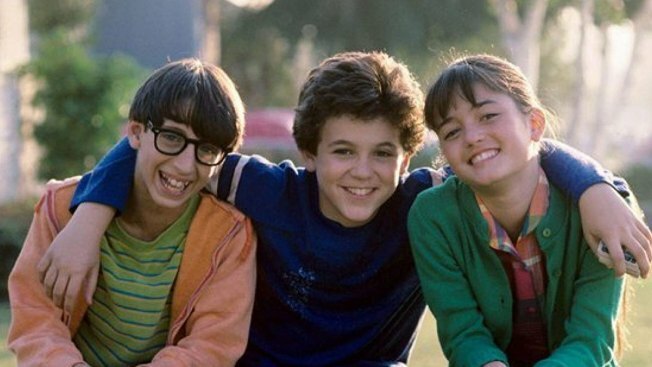 Danica McKellar, who starred as Winnie, took to social media Tuesday to post a selfie of herself along with co-stars Fred Savage (Kevin) and Josh Saviano (Paul) as the trio took in a recent lunch together. "The Wonder Years" a 1960's era coming-of-age drama seen through the eyes of protagonist Kevin, aired on ABC from 1988-1993. In the years since the show ended McKellar has acted in a number or animated series and did a stint on "Dancing with the Stars" in 2014, while Savage continued to act on television including recent appearances in "The Cool Kids" and "The Conners." Saviano largely retired from acting at the conclusion of the show. McKellar and Savage did reunite briefly on air when she guest-starred in the short-lived 1997 comedy "Working," which Savage headlined.